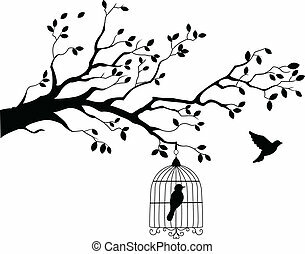 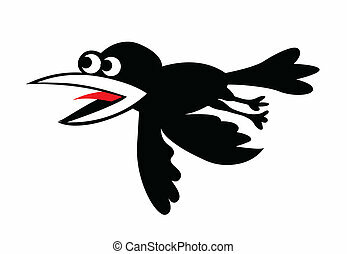 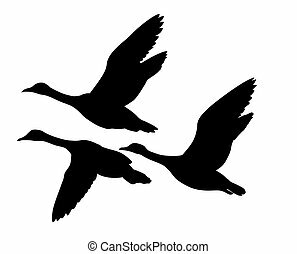 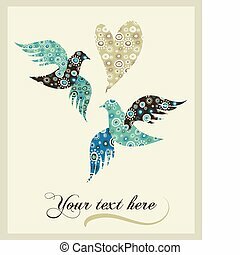 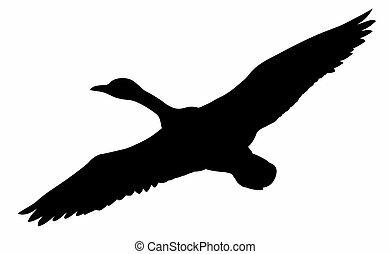 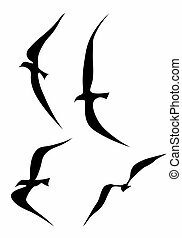 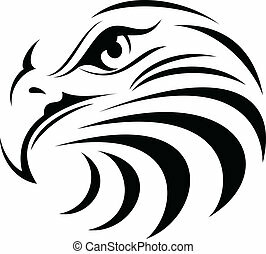 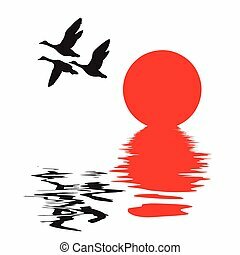 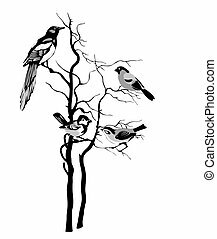 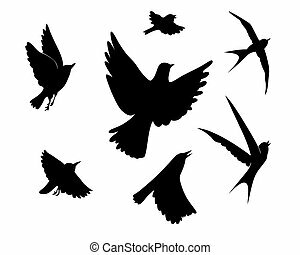 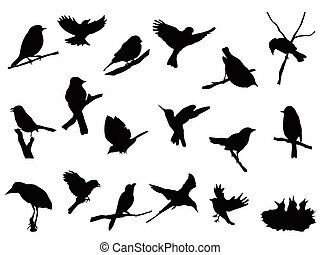 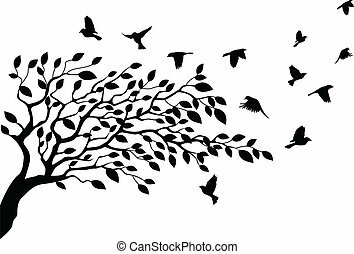 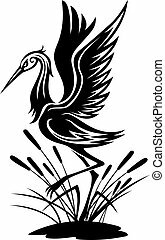 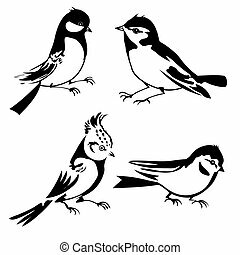 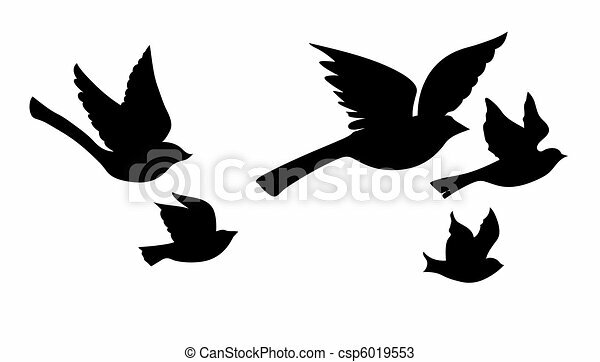 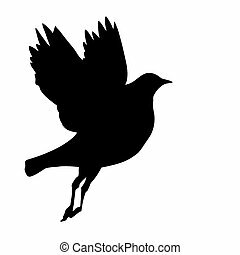 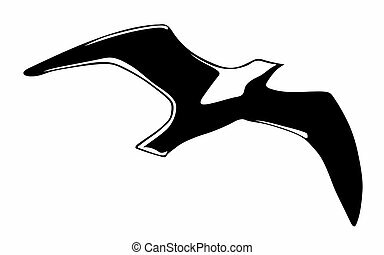 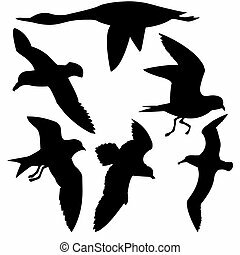 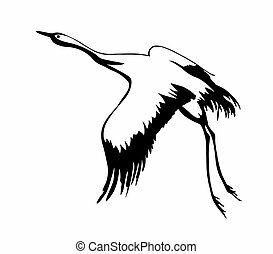 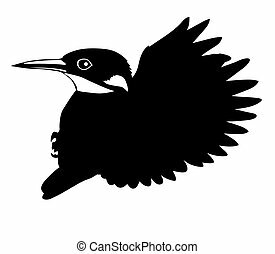 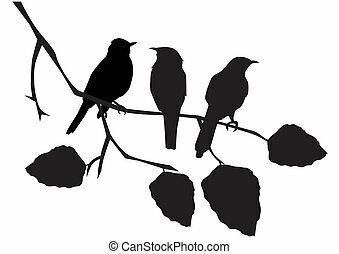 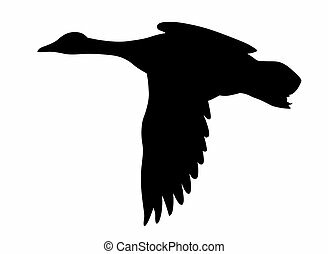 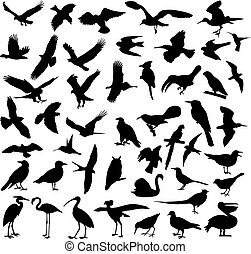 Vector silhouette flying birds on white background. 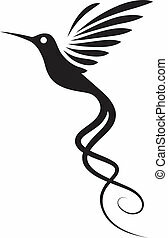 Hummingbird tattoo isolated on white. 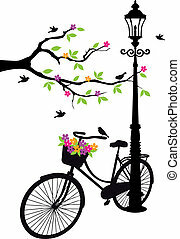 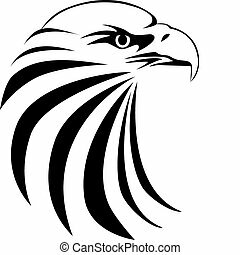 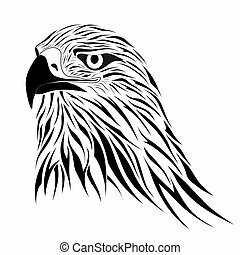 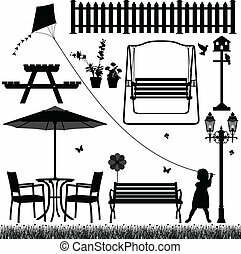 Decorative vector illustration. 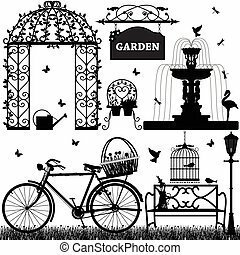 A garden scenario with different objects to represent the feel of peace and serenity.